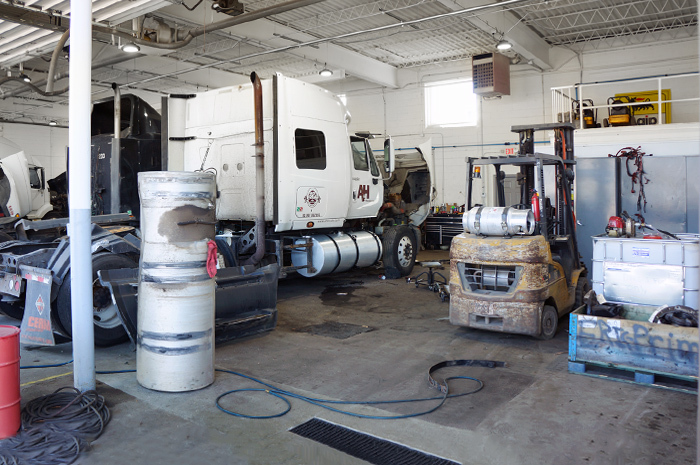 A&H Trucking’s Service Department offers complete service and repair of your vehicle in and around Cleveland. Our goal is to get you back on the road quickly, without sacrificing a quality repair or a competitive price. From routine preventive maintenance to a complete engine overhaul, we can take care of all of your repair needs. 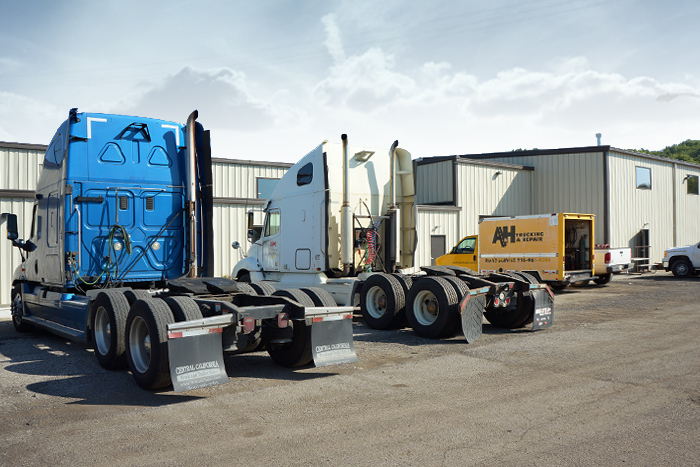 A&H has been in the business since 1981, and we are committed to providing quality workmanship for all of our truck repairs. We are also proud to offer two service trucks that are available to travel throughout northern Ohio for onsite work. With our skilled professionals, modern diagnostic equipment and comprehensive parts resources, you can rest assured that A&H has the expertise to resolve all of your truck repair needs. Our certified technicians can service all makes and models of trucks, and they have access to an extensive parts inventory to facilitate repairs. A&H also utilizes new computer diagnostic equipment to ensure a fast and efficient service experience for all of our customers. The heavy-duty truck brands we can service include Crane Carrier, Freightliner, International, Kenworth, Mack, Peterbilt, Volvo and Western Star. The medium-duty truck brands we can service include Freightliner, Ford, Ford Cargo Vans, GMC, Hino, International, Kenworth, Peterbilt and Sprinter Vans. The engine brands we can service include Caterpillar, Chevrolet, Cummins, Detroit Diesel, Ford, Hino, Mack and Mercedes-Benz. We can also repair emergency vehicles, school buses, and a variety of coach vehicles (Winnebago, American Coach, Fleetwood, etc. ).